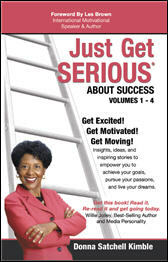 "Donna's books are a 'must have' for those serious about achieving more". Filled with valuable tips and strategies, insightful exercises, inspiring stories, and over 200 motivating quotes, this book is designed to keep you on the path to achieving your goals and living your best life. "Donna's ideas are relevant, timely, and thought-provoking. Read this book often to experience progress and results on your road to success." read an excerpt from Donna 's book and strongly recommend it to her listening audience. "Donna shares strategies for strengthening your belief system, thereby accelerating your growth potential. By reading this book you can start believing in yourself, valuing who you are and living your best life." "Donna gives you powerful life-changing strategies on how to believe in yourself. 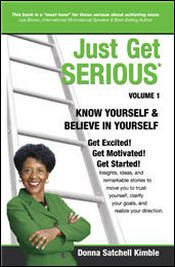 I will be recommending this book to members of my organization, as well as my personal clients." "Inspiring, insightful, and well-written! I am very impressed. This book has all the strategies I have used over the years to assist students. The ideas and stories expressed here will certainly be of value to anyone who reads them." Being open to new activities (and much more). "I love Donna's new book. 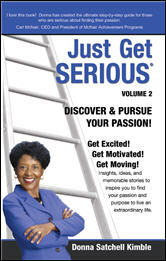 She has created the ultimate guide for those serious about finding their passion." "Insightful, thought-provoking and necessary - this book is for anyone seeking that extra dose of inspiration needed to pursue their passions." "Reading this book caused me to think deeply about my life. Donna does an outstanding job of revealing ways we can find our passions and pursue them."